2 walking minutes away from the train station or from the taxi rank. the camping material has to be transported by train or by taxi. The bus to the cable car stations is leaving just next to the camping site. 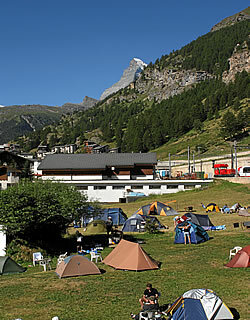 Next: RIFFELALP RESORT 2222 m.ü.M.